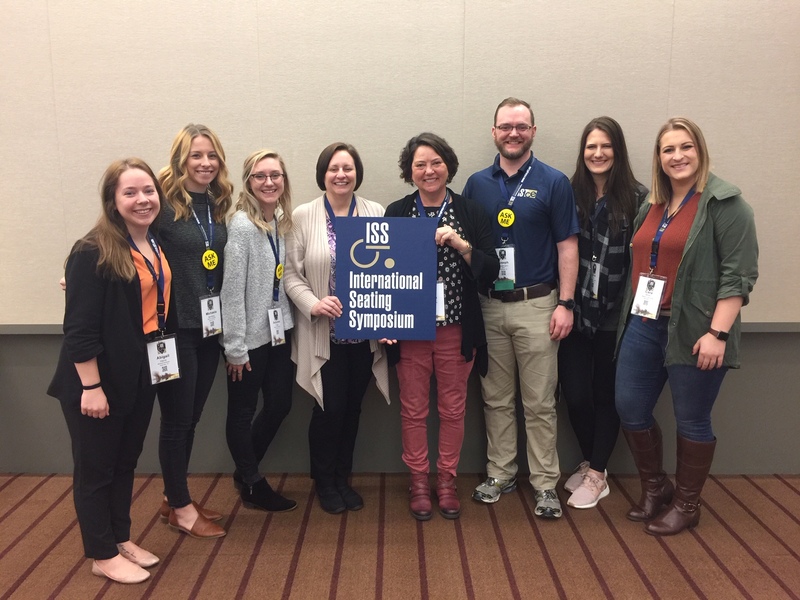 Belmont Doctorate of Occupational Therapy (OTD) faculty, alumni and students presented at the 35th annual International Seating Symposium (ISS) in Pittsburgh, Pennsylvania, March 18-22. The ISS is the world’s leading educational conference and exhibition on the topic of Wheelchair Seating, Mobility and Associated Technologies. Clinicians, consumers, advocates, researchers, providers, manufacturers and policymakers from more than 30 nations attended the event. Associate Professor Teresa Plummer, Assistant Professor and OTD Academic Fieldwork Coordinator Missy Bryan, OTD class of 2017 and alumnus Joe Straatmann along with faculty from Vanderbilt, University of Texas and University of Pittsburgh presented a pre-conference on GoBabyGo: Moving, Learning and Socializing. In this pre-conference, attendees from five different countries learned to adapt to and ride on toys for children with disabilities to allow them to access and explore their environment. Plummer and Bryan along with researcher consultant Ana Allegretti, assistant professor at the University of Texas Health Science Center at San Antonio, presented a session on the Importance of Self-Initiated Mobility. Bryan and Vanderbilt Physical Therapist Heidi Kessler presented a session on Specialized Transportation Clinic Current Practice.